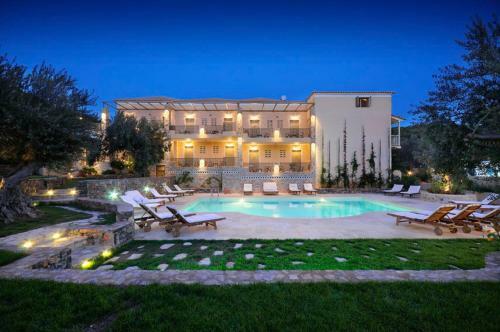 Just 150 metres from Askali Beach in Poros and built among an olive grove, Eleonas Studios features a swimming pool with a sun terrace. It offers studios and apartments with balconies, while free Wi-Fi is available in all areas. We do not have any comments on Eleonas Studios in our database.